California: The world’s largest plane by wingspan made its first test flight at the Mojave desert in California on Saturday. Its wingspan measures 385ft (117m) and on its maiden flight, the jet reached speeds of about 170mph (274km/h). 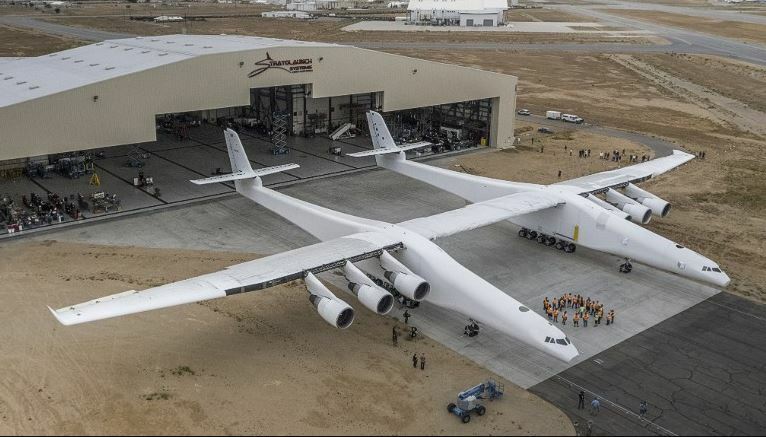 The aircraft built by Stratolaunch is designed to act as a flying launch pad for satellites. It is supposed to provide a more flexible way to deploy satellites than vertical takeoff rockets because this way all you need is a long runway for takeoff. It hit a top speed of 304 kilometres per hour (189 mph) and reached an altitude of 17,000 feet or 5,182 meters. “Today’s flight furthers our mission to provide a flexible alternative to ground-launched systems,” he said while talking about the historic first test flight of world’s largest plane.